I am just a bit sad as we pull into the Tie One On Blog Hop Day 8. This means the blog hop is almost over, but at the same time, I have been so stoked by all of these projects my friends are making. Each one has been a unique approach, which really just shows how much variety we all get when we sew, even with the same fabric!! And soon all of the fabric that you can buy will out there in the wild for you to hunt down and buy. Remember it’s a collection, so when it’s gone, it’s gone! Blair Stocker, from Wise Craft Homemade is our Hopper today. 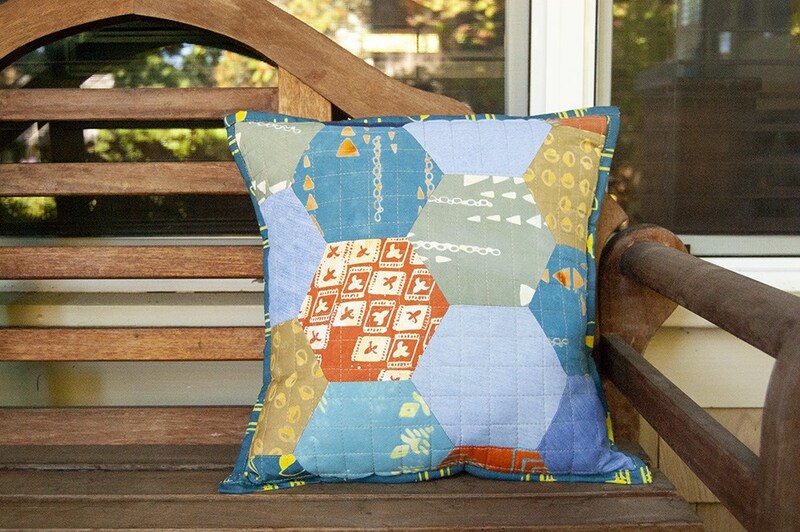 Check out the awesome Mega Hexie pillow that Blair made. She gives you all of the details for constructing this pillow on her blog post here as well as the chance to win a Fat Quarter bundle from the commentors on that post. She threw in some recycled chambray as well to really give the cushion that Wise Craft Handmade touch! Now for the Blue Nickel Pix for Tie One On Blog Hop Day 8! First just a random shot of a journal and a quilt and a hint of my Aurifil Thread Collection. Close up of the Fabriflair ball. I think this is pretty cool!! And THEN we have another pattern that needs writing. I know, I know, Get to it Scott!! After the Blog Hop I am diving in, so get ready. 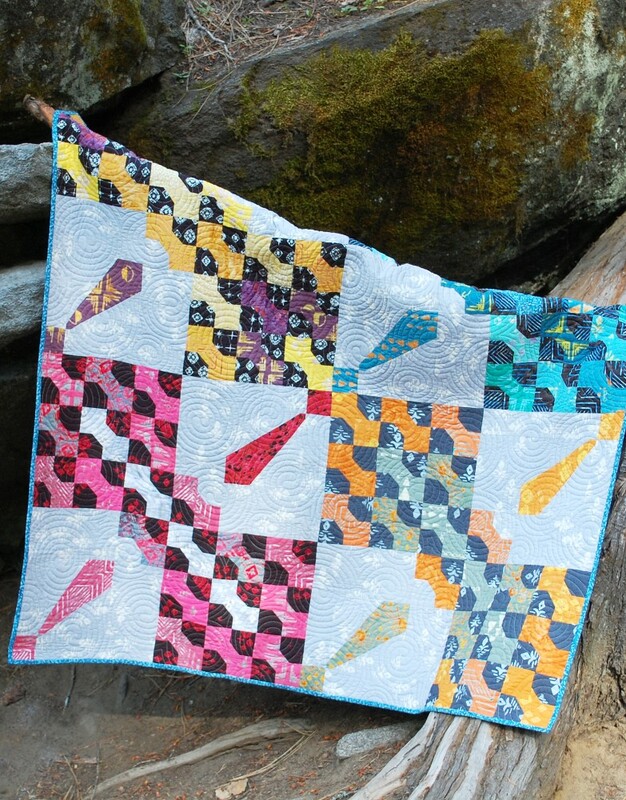 This quilt is called Dapper and is super easy and quite fun to play with colors and combinations. This what I would call a controlled scrappy quilt. I really dig the giant bowties made from smaller ones! Keep an eye out for it. Hopefully by the end of the year. Okay, folks, that’s it tomorrow is the last day of the Hop! I will see you there! 9/29 – Blair Stocker — That’s TODAY! Hope that you are enjoying the Blog Hop so far, we have one more great day and then Tie One On will be in the shops very soon! This has been a wonderful hop! Thanks for all the fun! Love the Dapper pattern, too! The fabrics fit it so well. I can’t wait for the ‘Dapper pattern! 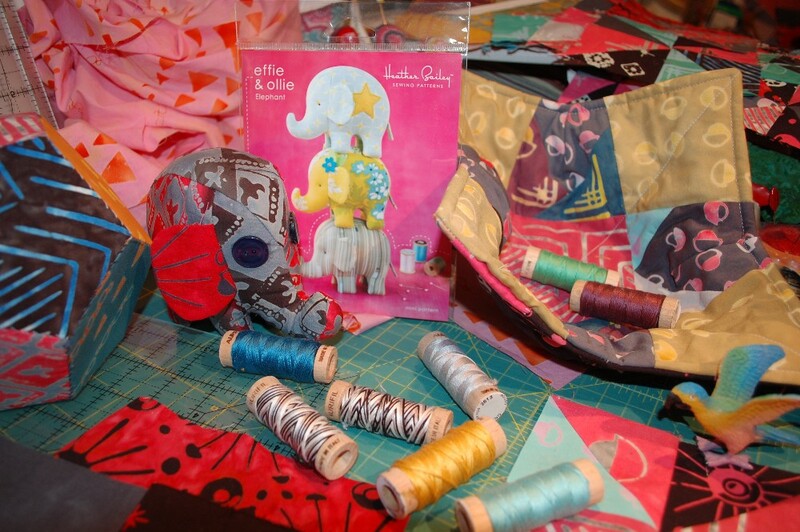 Love the thread line, the elephant pin cushion, Ventura and Manhattan are my favorites… At least for today ! The bow ties in Dapper……. too clever! Love EPP! Another great way to show off your yummy fabrics. WOW! 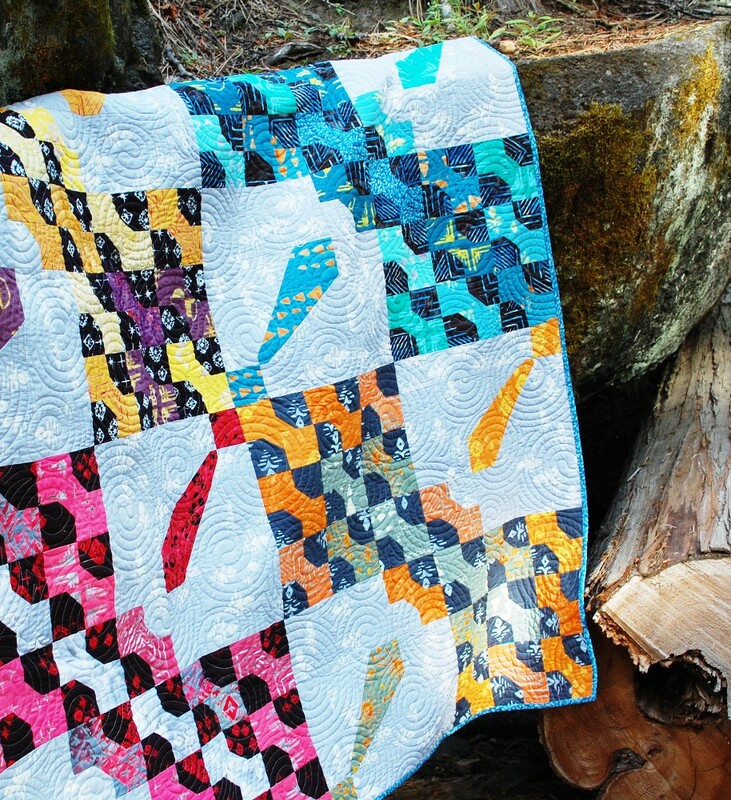 Scott, your Dapper quilt is gorgeous! I love how you used the little bow ties to make the larger ones. I love Blair’s pillow too. 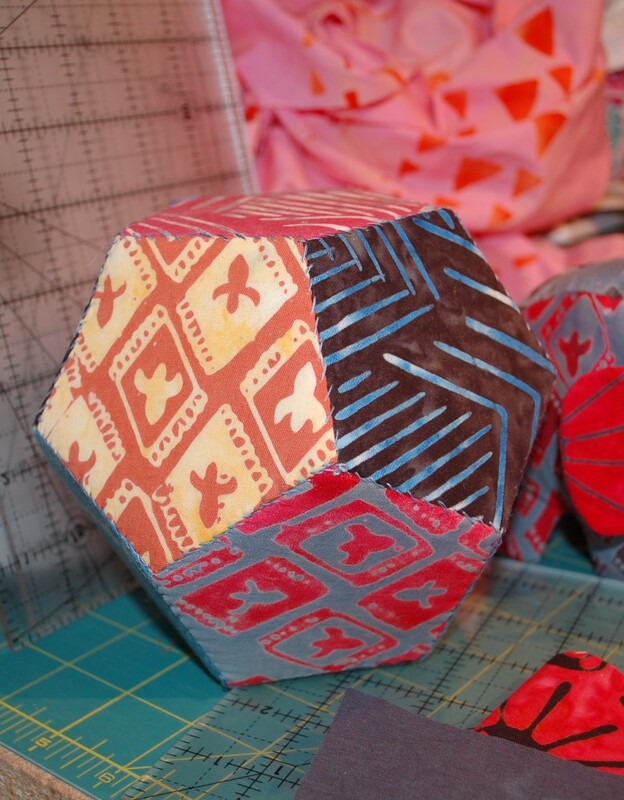 I am not a fan of EPP, but her use of the larger hexies would be so much easier and faster. She did a wonderful and beautiful job. The Dapper pattern is such fun! Ties and bowties all together, perfect for these fabrics. 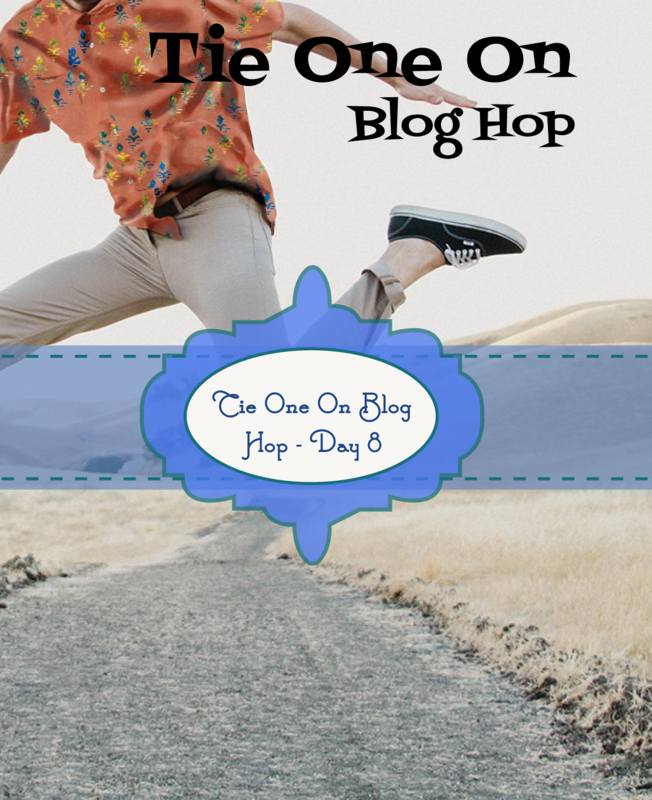 I loved all the inspiration from this hop! Loved the blog hop and all of the inspiration presented. Such lovely fabrics. Congratulations to you Scott. Thanks for a great hop and all of the inspiration. 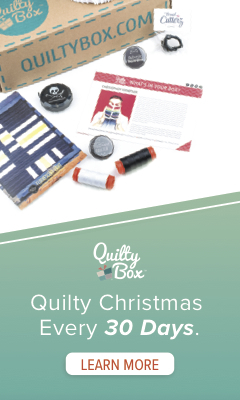 Your Dapper quilt is too cute! Great pillow. Love the mini tutorial. Such a great idea. I love knowing how things go together.